Minimize your programming time in 5 axis and gain complete control of your machine with our newly designed 5x cycles. Connect to Machining Cloud to select the most appropriate tools for any job. Enhance your workflow with new stock automation strategy and tooling. 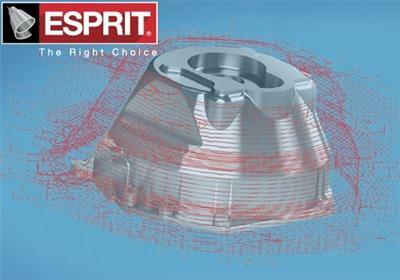 Enhance the feature recognition and handling of solid models to execute machining operations more easily. (database of tools, postprocessors, etc) is now moved online. access to DP TECHNOLOGY servers.